If you’re looking for a reliable way of identifying quality roots and Americana, you could try looking for Black Hen Music or the name Steve Dawson on the label. Please don’t tell me you won’t get this information because you don’t buy music in physical formats; we might fall out. 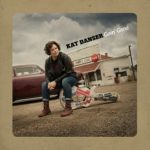 Kat Danser’s fifth album scores on both of these counts and, of course, it’s a cracking good listen. It’s an interesting mix of half uptempo electric songs and half in a more contemplative style with a huge variety of stylistic influences. Kat’s an academic ethnomusicologist (Dr Kat Danser, no less), but the approach to the material on this album is practical and pragmatic. Each of the songs on the album sounds like it was intended to be played live. There’s very little in the way of studio trickery, just great arrangements and even better playing. It’s noticeable that each song has at least one solo and some have several. It’s a great way of keeping really good musicians motivated; play the meat and potatoes stuff and you get the opportunity to improvise and play your solos as well. The album splits broadly into two halves; the first half uptempo and ranging across rockabilly, country, blues and Southern swamp grooves, while the second half is generally slower and with more of an introspective singer/songwriter feel. It’s also interesting that the first half is generally about movement, featuring trains and cars (OK, I know “Train I Ride” is in the second half of the album), while the second half deals with standing still, establishing roots and telling home truths about “My Town”. There’s absolutely no shortage of great songs on “Goin’ Gone”; “Train I Ride” menaces with a “Smokestack Lightning” feel to the guitar riff and some close-miked saxophone, “Kansas City Blues” makes a nod in the direction of Chris Izaak, but the icing on the cake is “Memphis, Tennessee”, a swampy twelve-bar love song to the city that references the fabulous Mavis Staples. It doesn’t get a lot better than this. “Goin’ Gone” is released on Friday October 12th on Black Hen Music (BHCD0087).